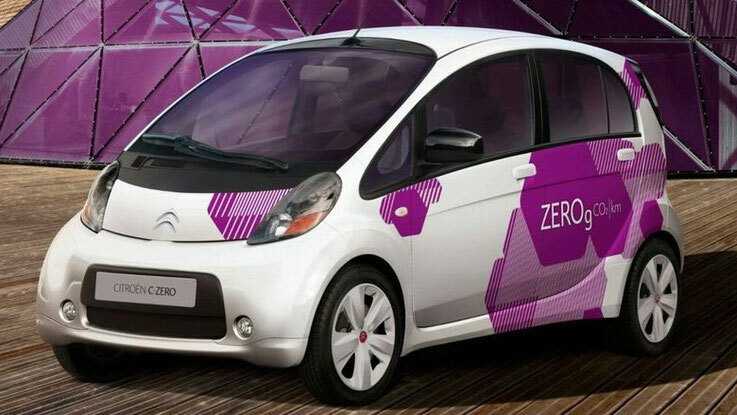 The well-known car manufacturer Citroen has distributed detailed information about its new electric car C-Zero. 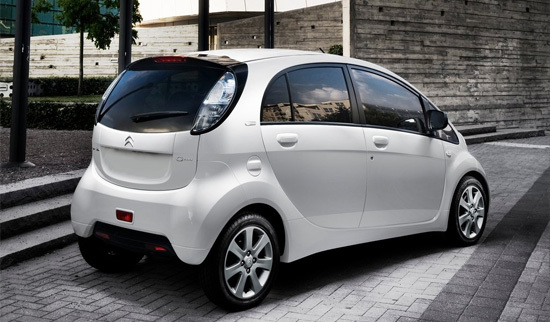 It is expected that the new electric vehicle from Citroen will be available for sale in the European market in 2010. 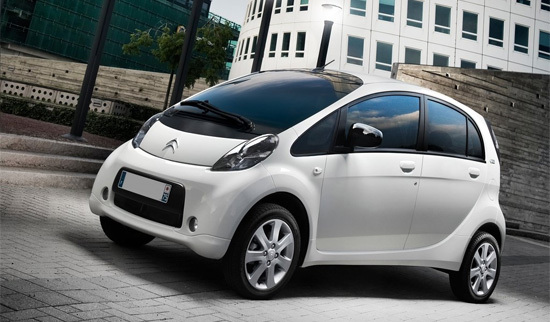 Citroen C-Zero is developing a joint cooperation with Mitsubishi Motors Corporation. It should be noted that the "S-Zero" is not the first, but the second electric car company Citroen. Opened the same line of electric cars Citroen Berlingo. If we talk about the technical characteristics of the Citroen C-Zero, this novelty has the following overall dimensions: length - 348 cm, wheelbase - 255 cm, diameter of the turn circle - 900 cm, luggage compartment volume - 166 liters. 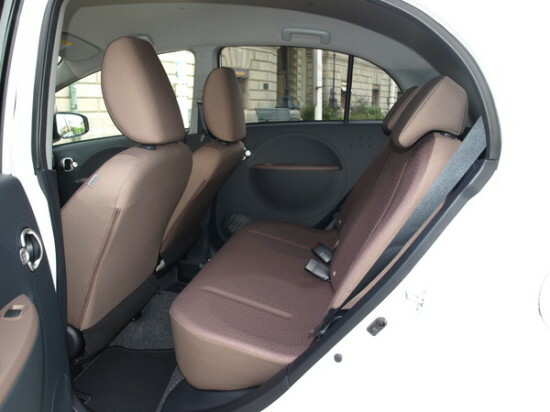 That allows you to safely consider the car to the A-class (very compact cars) in the European classification. The dynamics of the Citroen C-Zero (for the electric car) is impressive: the top speed is -130 km / h, reaching a speed of 100 km / h occurs in 16 seconds. Without recharging, an electric vehicle can travel up to 150 km. The compact hatchback C-Zero is designed for landing four passengers with all the comfort that a car of this size can be capable of. 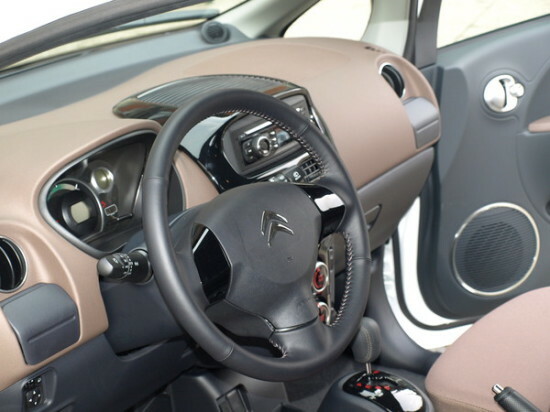 Citroën C-Zero in the standard version has a steering amplifier, EBD, ESP, ABS, electric window lifts, airbags in the amount of 6 pcs., Air conditioning, Bluetooth and Citroen eTouch system. The power of the C-Zero electric motor is 47 kW (64 hp) at a speed range of 3.5 thousand to 8 thousand rpm. The limiting torque is 180 Nm at the interval from 0 to 2 thousand rpm. The lithium-ion batteries of the new generation provide operation of the electric motor. They consist of 88 batteries, each 60 A / h. In general, the battery has a useful capacity of 16 kW / h, operates at a voltage of 330 V.
It has long been known that the electric motor has the highest possible thrust right after the engine starts, which means that there is no need in the gearbox. Because of this, the electric Citroen C-Zero has a specially built demultiplier and a normal differential. The units are installed at the rear of the car close to the electric motor. The new electric vehicle is equipped with a system that saves energy when braking and decelerating, at this time the battery is recharging. The stronger the driver presses on the brake pedal, the more energy goes into the battery. Also, the charging of the power supplies takes place while driving, while the accelerator pedal is depressed. Supply of electricity through the network 220 V. With the "French" current strength of 16 A, the full charge will end after 6 hours, the "English" current strength of 13 A - after 7 hours, the "Swedish" at 10 A - after 9 hours. Recharging through specialized automatic machines having a single phase with a current strength of 125 A at 400 V, reaching a power of up to 50 kV. These characteristics allow you to charge the battery in just 30 minutes. The lifetime of batteries with a full recharge of 1,5 thousand cycles.